As our loved ones grow older, families often find themselves taking on the role of caregiver of elderly family members. The role of caregiver varies based on the level or care required. There are signs, however, to watch for that signal an increasing need for support, and that it is time to begin looking into accessing additional support for your loved one. For those families who are caring for adults with cognitive and memory impairment, you may find that you need to seek outside assistance for their caregiving. Cognitively-impaired people have difficulty with one or more of the basic functions of their brain, such as perception, memory, concentration, and reasoning skills, such as those who are living with Alzheimer’s disease and related dementias. A geriatric care manager can help when you need increased level of care for your loved one. GCM’s work with families to create a plan of care that meets the needs of the older adult. They will complete a comprehensive assessment, and then, in collaboration with the family, will develop a care plan. 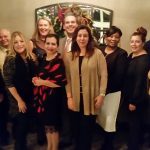 The case manager is an expert on available resources and helps the older adult and/or caregiver arrange for and coordinate necessary services. 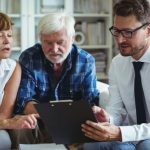 Similarly, a GCM acts as an advocate for the older adult, and ensures that services continue to meet the older adult’s needs over a period of time and reassesses changes that may require additional services or readjustments in the care plan. Our Geriatric Care Managers at Unicity Eldercare are either Registered Nurses or Licensed Social Workers, with extensive experience working with the elderly community. Taking a client centered approach, our Geriatric Care Managers assist in problem solving, planning and implementation of solutions. 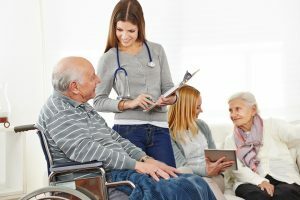 In this blog, we will discuss how geriatric care managers can incorporate a wide variety of services into an individualized care plan that is specifically designed to aid your loved one. Has your loved one mentioned loss of appetite, digestive issues, or chewing or swallowing troubles? Has there been diminished food consumption over the past three months as a result of these above issues? Has your loved one encountered weight loss over the past three months? Weight loss, especially for those who live a sedentary lifestyle, can be a sign that the person is not eating properly. Does the older person have problems with mobility? Being confined to a bed or unable to go out can cause nutritional challenges like the inability to buy groceries or prepare meals. Has the older person suffered emotional stress or acute disease in the past three months? Does your loved one have a healthy body mass index (BMI)? A BMI of 18.5 or less may be an indicator that the senior is not eating enough, while a BMI of 30 or more can suggest obesity. As we get older, our dietary needs change. Older adults tend to need less calories as they age, often due to reduced activity. However, their bodies still have the need for the same or higher levels of nutrients and regular activity for optimum health. 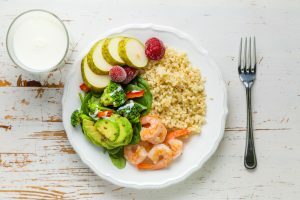 The MyPlate for Older Adults model stresses the importance of foods that are high in vitamins and minerals and low in fat, salt and sugar; however, it also includes instructions pertaining to suggested routine physical activities and fluid intake, aspects that are of particular concern for older adults. As you age, your sense of thirst becomes lessens. It is suggested that as your age, you drink plenty of water throughout the day to stay hydrated (even if you don’t feel thirsty.) Fat-free milk and 100-percent juice are other options to consider besides water. Consuming a variety of foods will ensure you’re getting all of the nutrients you need. According to the National Council on Aging, a healthy meal should consist of a lean protein, fruits and vegetables, whole grains and low-fat dairy. Planning meals throughout the week for your loved one can help them stick with healthy eating habits. Consider preparing a week’s worth of dinners, then keeping them frozen until you need them. As you age, your sense of taste declines and you may find your senior loved one adding salt to increase the flavor. However the U.S. Food and Drug Administration reports that consuming too much salt can lead to high blood pressure, which can ultimately lead to heart disease, stroke and kidney disease. Make sure not to consume more than 2,300 milligrams of sodium every day. Check the nutrition labels when shopping for packaged and canned foods, While some items may claim to be a “healthy choice,” it could be loaded with added fat, sodium and sugar that you wouldn’t know about unless you read the label carefully. In order to maintain a healthy weight, it’s very important to follow the recommended serving sizes. Talk to your doctor if you want advice that caters to your elderly loved one. Refined sugars not only are loaded with empty calories, they provide no nutritional value. Try to slowly reduce sugary treats and replace them by eating whole foods that are naturally sweet, such as fruits, sweet peppers and yams. Fat should not be eliminated from diets, however saturated and trans fats should be. Monounsaturated and polyunsaturated fats can help protect your body against disease and support mood and mental well-being. Olive oil, avocado, nuts and fish high in omega-3 fatty acids are excellent choices. Eating fruits and vegetables is the best way to get the nutrients you need, but sometimes our elderly loved ones need supplemental vitamins and minerals to ensure overall health. Persons with dementia may also experience eating difficulties unique to their situation. Often times, those living with dementia may have lost his sense of smell, or is unable to properly use utensils. GCMs can make helpful suggestions on managing your loved ones eating, such as by suggesting cutting food into small pieces that can be eaten with the fingers as a simple solution. 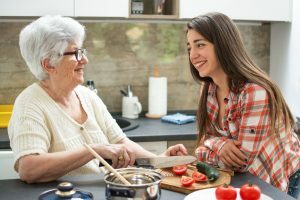 Additionally, preparing small meals, and providing more frequent, healthy snacks is a way to ensure those living with dementia get the necessary calories and variety of foods that make for a balanced, healthy diet. Healthy eating is important across your entire life, but especially as one ages. Choosing nutrient-rich, lower-calorie foods may help prevent or manage chronic health conditions. At Unicity Eldercare, Alzheimer’s and Dementia Care is our specialization. We provide highly specialized in-home care and dementia care. As such, we understand how important it is to ensure the best nutrition for seniors. 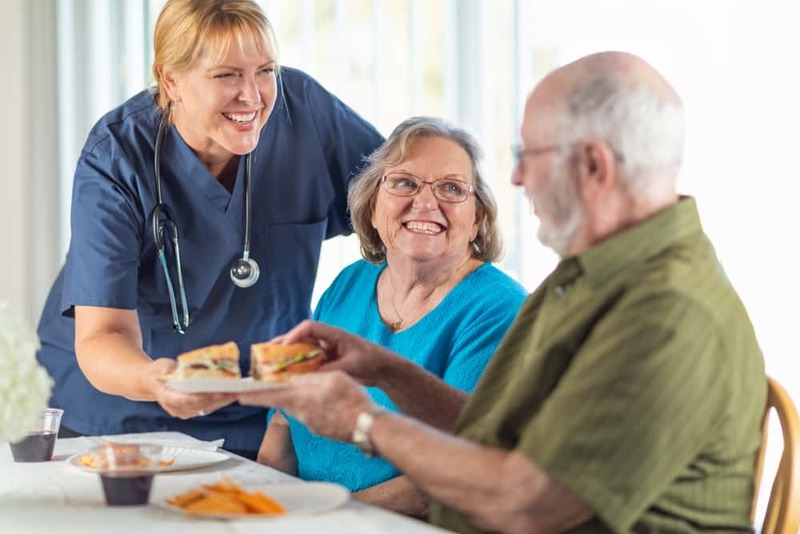 Our dedicated caregivers can prepare a meal plan that include healthy, nutritious, and appetizing meals based around your senior loved one’s distinct nutritional needs. Our integrated care management services bring peace of mind to our clients and their families. 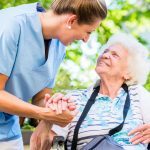 By integrated we mean that our Care Managers, who are either highly experienced geriatric Social Workers or Registered Nurses, act as the glue that holds the care process together. Our scope of intervention and expertise is broad. There is always a solution and we are here to help! 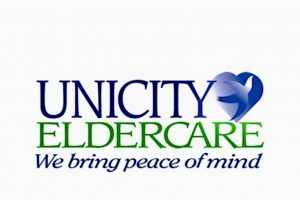 If your aging senior needs extra help and support and may be in need of geriatric or in-home care, Unicity Eldercare is here to help. Unicity Eldercare’s geriatric care managers work closely with families to provide the assistance and peace of mind they need. We provide companion care, personal care, and Alzheimer’s and dementia care so family members can rest easier. You can benefit from the expertise of our experienced Geriatric Care Managers, and can inquire on how to seek help from Unicity’s qualified home care professionals to help ease the burden.